OK, i'll stop calling repairs "entropy" as that seems like code for random blogging (which I am guilty of). I mentioned telephone repair in that other thread that shall not be named again here, but that drama is far from over and a little embarrassing. I tried connecting the wires by using same color code of old wires but the old phone keypad had two extra wires. Of course it doesn't work at all, so actually moving backwards from just one bad button. The vendor I bought the replacement keypad from is trying to be helpful but he keeps asking me for a high resolution photo, and my cheap POS camera refuses to deliver anything useable. At this point I don't see buying a better camera after helping my endodontist make a down payment on a new bass boat (root canal... then I have to pay for a crown, but this too is karma for not visiting my dentist in over a decade). Finally this morning I found a schematic for the used phone set (ITT 2500?). I already found what looked like errors comparing phone to old WE 500 series schematics. This new schematic looks more promising so back to the bench. In the meantime I have already repaired my original misdialing phone... the old WE/Bell design is robust and relatively easy to service. The 3x4 matrix of keypad switches are all located around the periphery of the keypad. Further the switch design looks robust, with a sharp triangle shaped contact on one side with a scrubbing action when pressed. I used some very fine grit sand paper (#400) on the one balky switch. This was probably the first time it was cleaned in over 40 years. The flaky ITT touch tone keypad appears to have a mechanical issue limiting travel of the row switch. Pushing any one of three buttons in same row should close the row switch and #4 just isn't getting it done, 5 and 6 are switching the row switch, 4 is flaky. More later... I don't really need another working phone, but at this point it is a point of honor. Old phones are not rocket science or shouldn't be. Now that I have actual schematic (I hope) I can check it better. Well found one problem... one wire from the earpiece speaker, was plugged into an unused terminal. That was one of the two extra wires missing from the replacement keypad was plugged there. Does the keypad in the WE Bell instrument have the tapped ferrite inductor? If so it is old. The old WE/Bell unit is put back together now. The squirrelly touch tone keypad from the old ITT had two big honking ferrites hanging off the back. The replacement keypad is solid state,,, no ferrite. I notice some free travel in the non-working button that the other ones don't have. So I am almost tempted to take it apart to fix the mechanical flaw.... but not tonight. For someone wanting to use one of those wired antique phones on the Verizon network can use the NovaTel T1114. I have one for home POTS service and backup internet. It's analog port provides cellular dial tone for our wired and wireless DECT phones. The Ethernet port serves as backup internet if the cable system is down. It also has a WiFi access point. Touch tone only. Pulse dialing phones don't work though so really old antique phones can't dial. 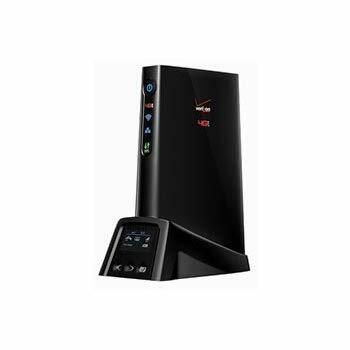 Verizon don't offer the NovaTel T1114 anymore but they're available on Amazon and can be ported to Verizon. We moved our legacy analog POTS from AT&T a couple of years ago and the savings have been huge. I think I'm paying $10/month for this line now versus about $80 before. This has reminded me of one thing that I never got about America as a kid. In UK we kept rotary dial phones all through the 70s and into the 80s as we still had a lot of strowgers in use at the time. America seemed so advanced on the TV as everyone had push buttons and yet they had to call the operator to make a long distance call. I could dial the world with my old rotary! When I moved to Chicago to help roll out a cellular network in 97 I then realised the true horror of American telecomms! I continue to be amazed about what people from outside America think it is like. I recall back in the 60s/70's hackers, perhaps the original hackers, were making "blue boxes" to mimic the telephone long distance network signaling tones to make long distance calls without paying. I somehow doubt they used operator assistance. I am struggling with a myriad of different versions and lack of clean documentation (for an old ITT phone I purchased cheap/used). I suspect this is one of several copies of the basic WE design. I have already found two different variant ITT schematics and neither one is this exact phone. Then I have an aftermarket replacement touchtone keypad. I bet an old phone technician could figure this out (not rocket science), but not simple for me. I am about ready to stick a fork in this repair attempt, it really isn't worth my time any more... I already repaired the phone I actually need to work. I am thinking about making this one an answer only set. I could use a dumb phone in the bathroom to answer awkwardly timed calls. PS: My POTS set connects to a phone line coming from my DSL modem so rotary might not work for me either, but I haven't needed rotary for a while. I have read about phone phreaking (and the cap'n crunch whistle they used). The called party pays setup with mobiles was a little silly. to a European mindset. I remember when i got my first mobile in US I had to decide whether to get a number local to home or local to the office. And fly to Dallas and discover a call back to Chicago was $1.29 a minute! AT&T really stirred that pot in 1998. Their banner adverts on the highways was a giant Nokia phone with a stars and stripes cover. Oddly for a while people thought Nokia ran the network! Woznizk, the actual engineer behind early apple computer started out selling blue boxes. I don't think it was illegal because nobody thought to make it illegal, but it was theft of services.